Time-capsule suggestions are being sought from the public for the capsule that will be buried on Veterans Day this year. Suggestions can be forwarded to the Bicentennial Committee, Putnam Office Building, 40 Gleneida Ave., Carmel, NY 10512 or emaile… Please login below or purchase a subscription to the Putnam County Courier to access this content. Tuesday’s regular monthly meeting of the Putnam Legislature was the shortest on record. The meeting started promptly at 7 p.m. and despite a 14-minute presentation by Thomas Conklin, executive director of the Make-A-Wish Foundation of the Huds… Please login below or purchase a subscription to the Putnam County Courier to access this content. Kelly O’Toole turns a check for more than $600 over to Michele Dugan of the Putnam Humane Society Tuesday afternoon. 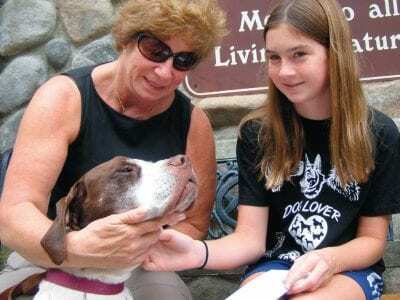 Joining the presentation is Chaucer, a 6-year-old hound found near death on a hot July afternoon at the Cranberry Mountain Rese… Please login below or purchase a subscription to the Putnam County Courier to access this content. Eric Gross Construction workers complete the Mahopac School District’s new sewage treatment plant in Mahopac Falls. 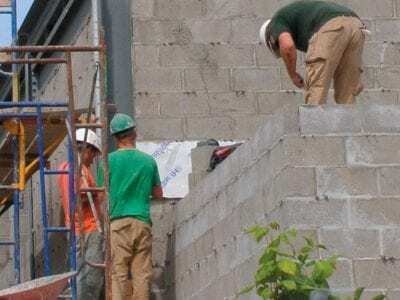 A project that began 15 years ago on the Mahopac School District campus in Mahopac Falls is nearing completion that will allow t… Please login below or purchase a subscription to the Putnam County Courier to access this content. 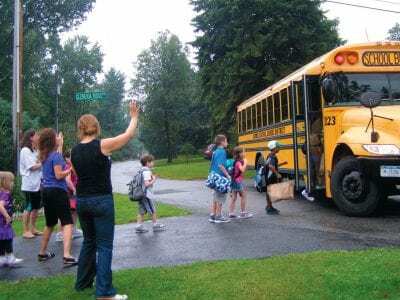 The 2012-2013 school year got off on a soggy note Wednesday for thousands of area children when heavy rains greeted boys and girls waiting at their bus stops. Moms, dads, grandmas and grandpas accompanied their offspring by waving good-bye while wish… Please login below or purchase a subscription to the Putnam County Courier to access this content. Next Thursday, Sept. 13, is Putnam’s third Primary Day of 2012. The liveliest race is almost certainly that involving state Senator Stephen Saland, whose 41st District for the first time will be representing constituents in Putnam County on January… Please login below or purchase a subscription to the Putnam County Courier to access this content. George Hartshorn Jr., his wife, Kathy and children are joined by County Executive MaryEllen Odell in cutting a ribbon signifying the ground breaking of the new George Hartshorn Paving Company headquarters in Kent. The name Hartshorn has been synonymo… Please login below or purchase a subscription to the Putnam County Courier to access this content. Final plans are being made this week for the 11th anniversary of the day that changed the world forever—September 11, 2001. Remembrances begin on Sunday evening in Mahopac outside Carmel Town Hall when a ceremony will take place at 6:30 p.m. a… Please login below or purchase a subscription to the Putnam County Courier to access this content. Congresswoman Nan Hayworth and Bob Gentile observe camper Margaret Sartlris, 10, of Brewster climb an enormous 75-foot tall wall at the camp. Next week: A profile of the Hayworth/Sean Patrick Maloney race. The summer camp season has ended for another… Please login below or purchase a subscription to the Putnam County Courier to access this content.